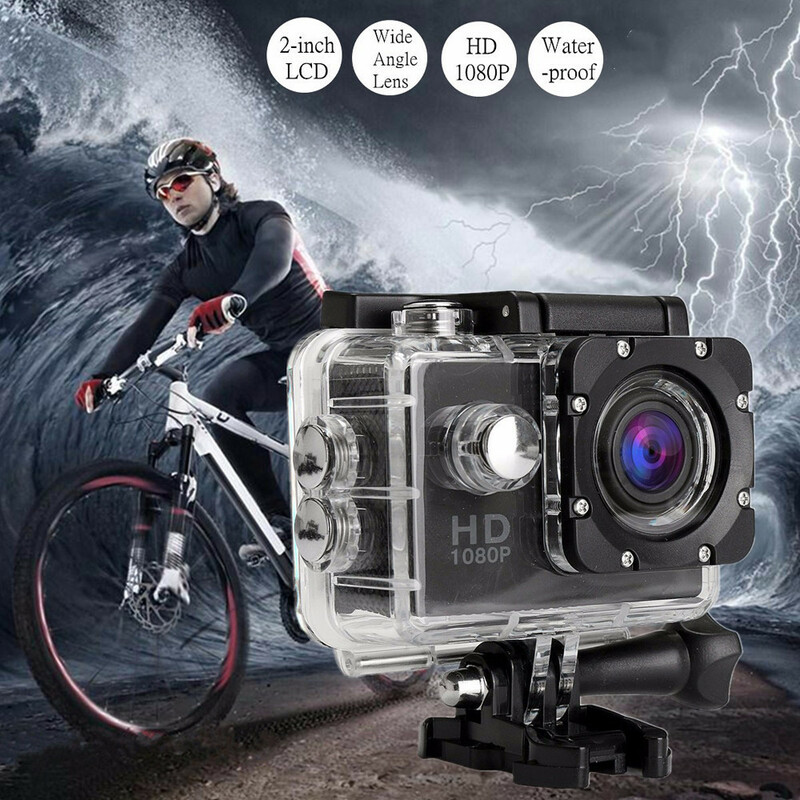 12 mega Pixel high definition lens. 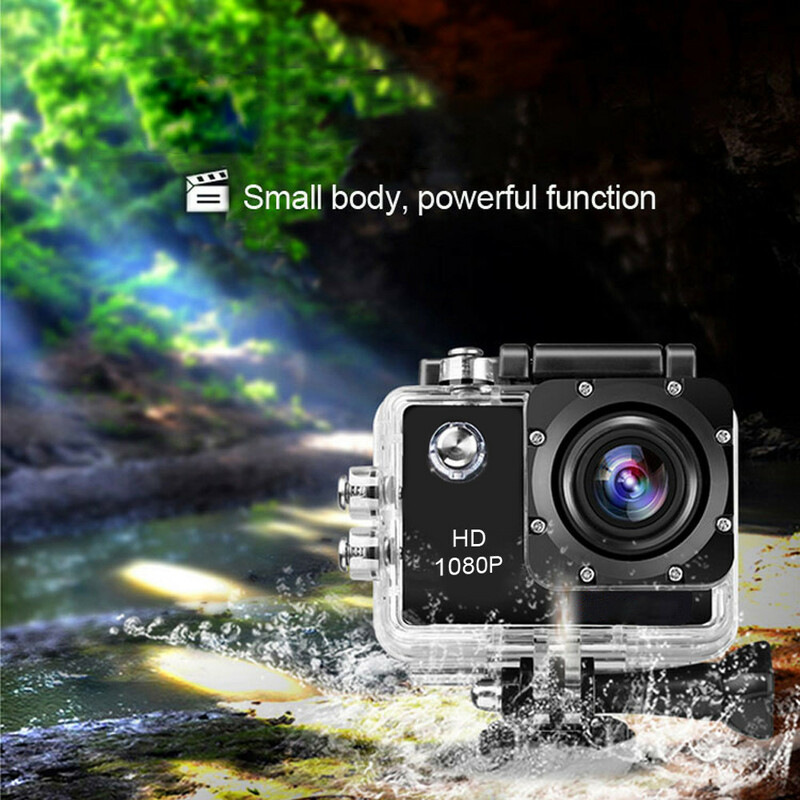 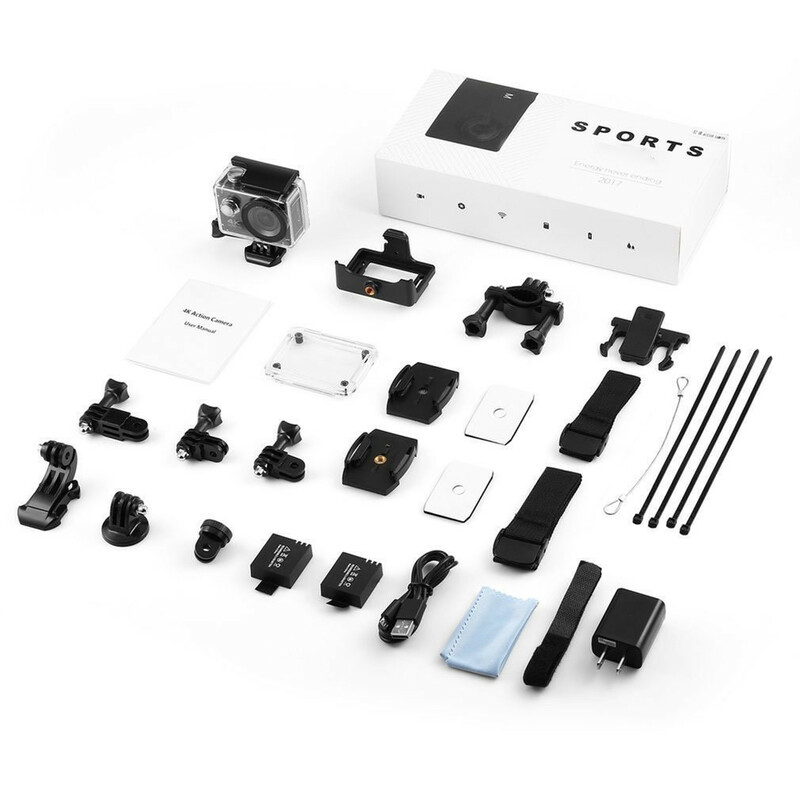 Sport Action Camera Built-in 2-inch LCD Display allows you to live preview what you shoot. 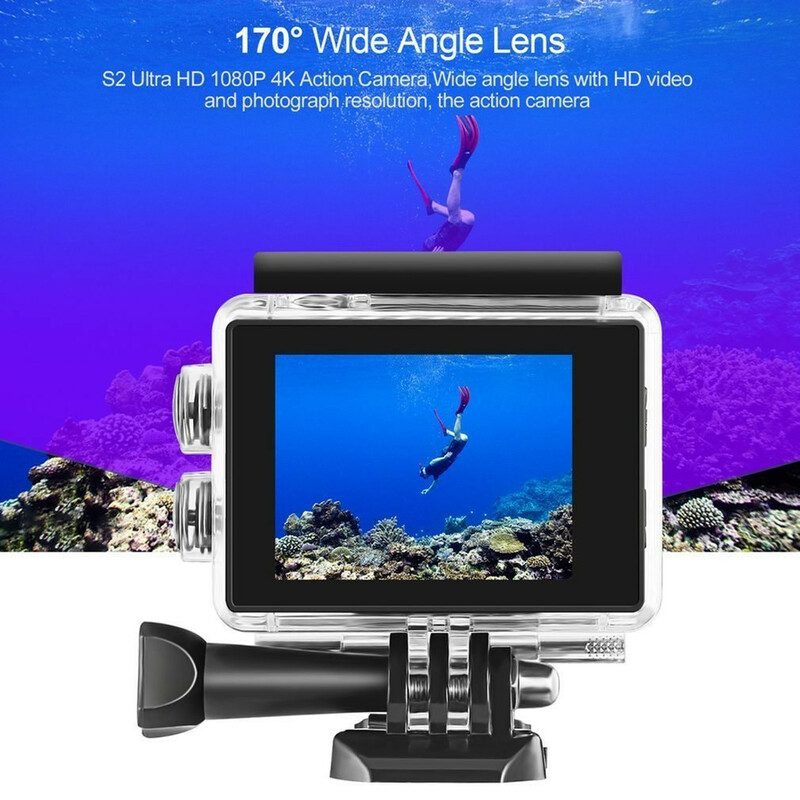 170-degree wide angle fish-eye lens won't miss any of the action going on in front of you. 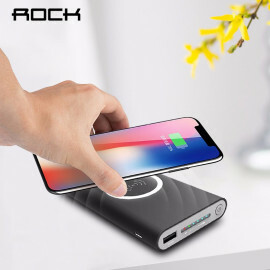 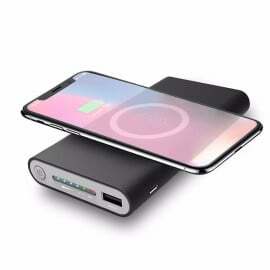 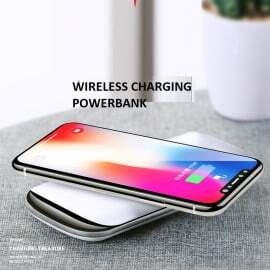 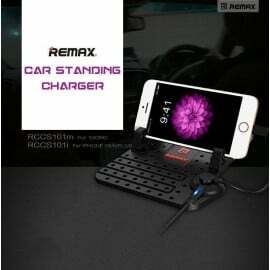 Built In 900mAH lithium Ion Rechargeable battery, charging time about 2 hour. 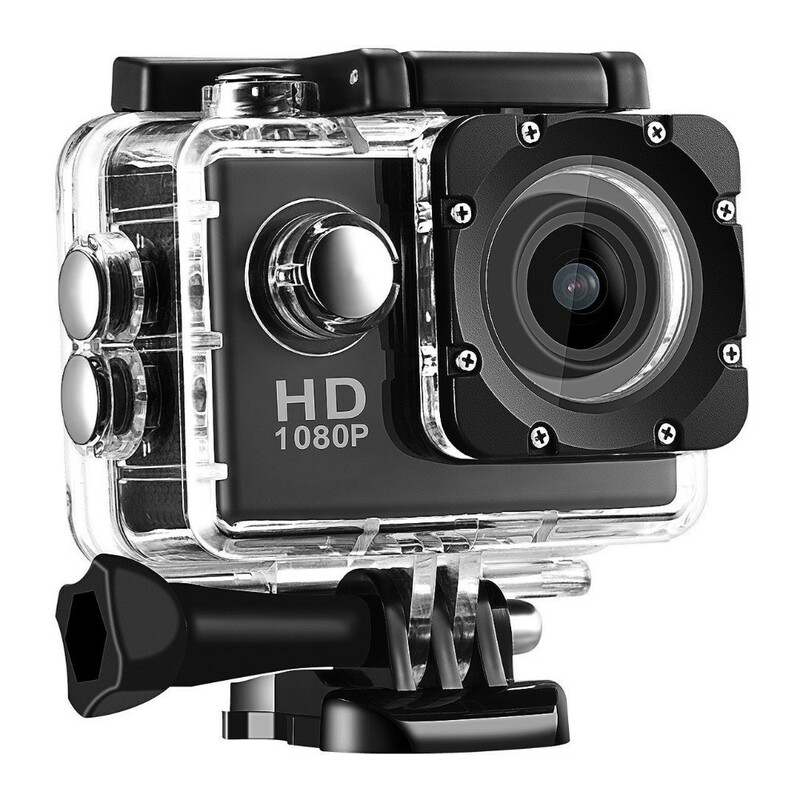 Videos Format H.264. 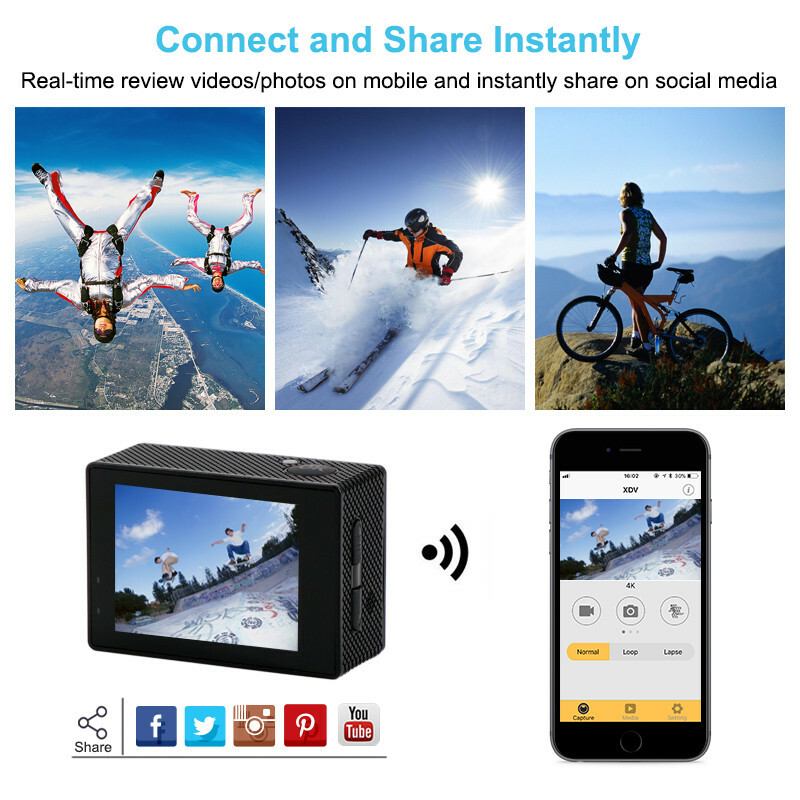 Ultra HD at 16 frames per second instantly share the exciting imagery, Compatible with Android, IOS, Smartphone, Tablets. 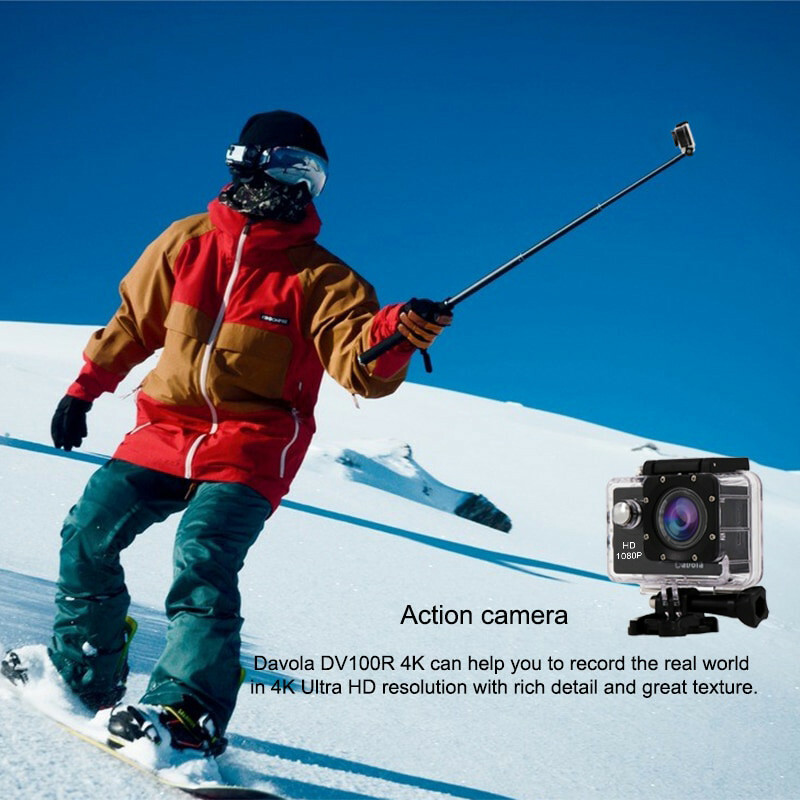 A perfect tool for skiing, cycling, driving, scuba diving. 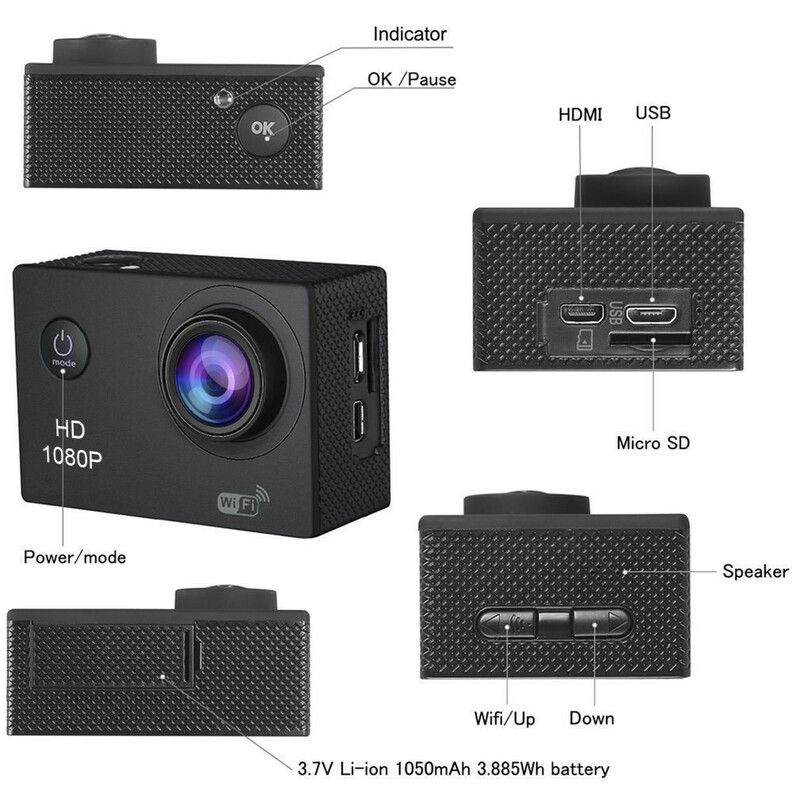 500W pixel and 170 degree wide-angle camera support HD photography. 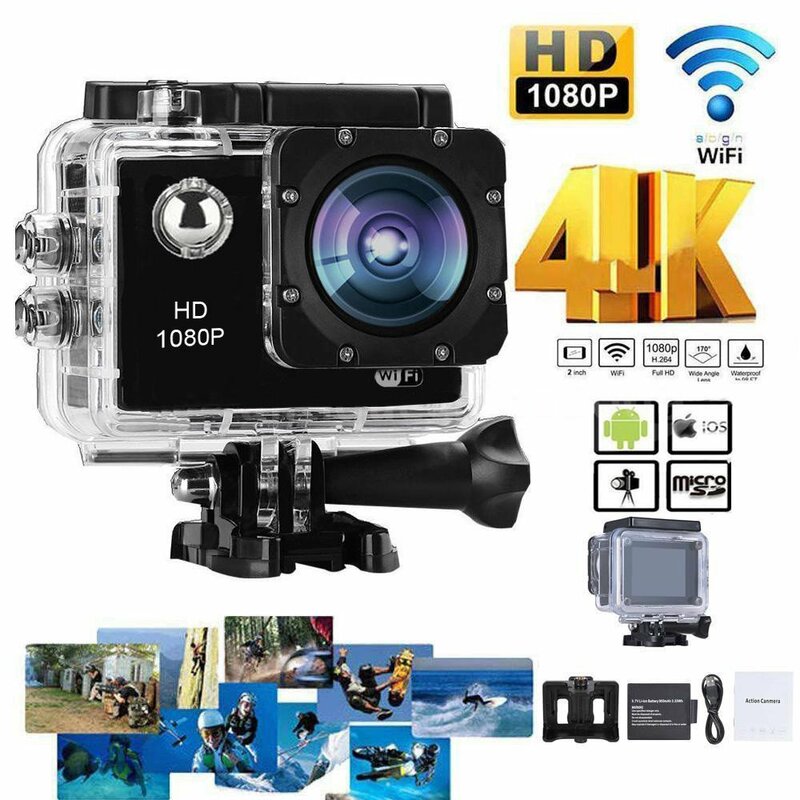 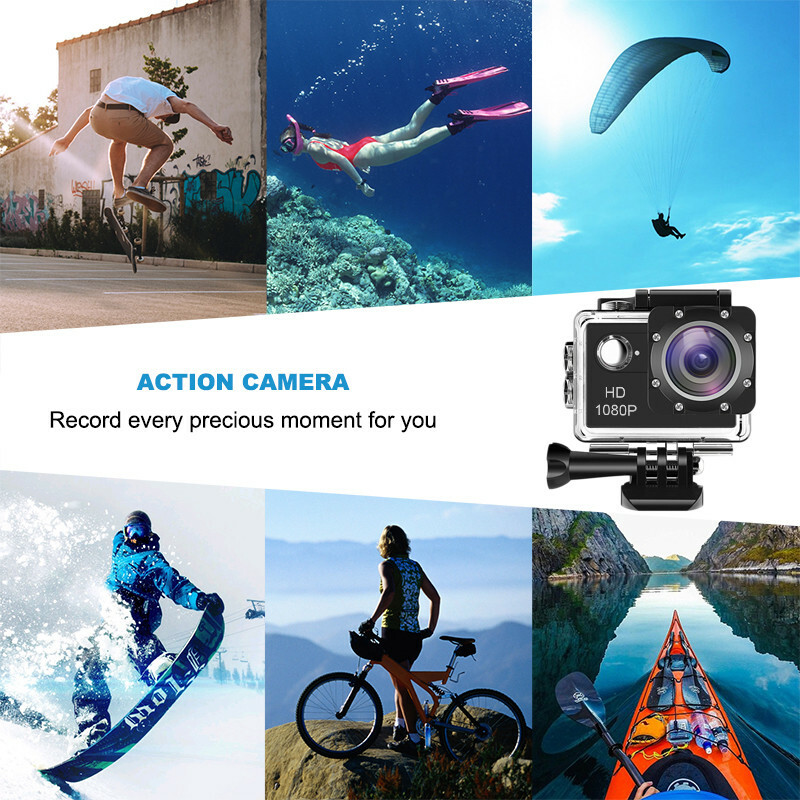 The action camera will record your adventures in 1080p Ultra HD at 15 frames per second instantly share the exciting imagery with the world via Wi-Fi or hook up the cam to your TV with HDMI. 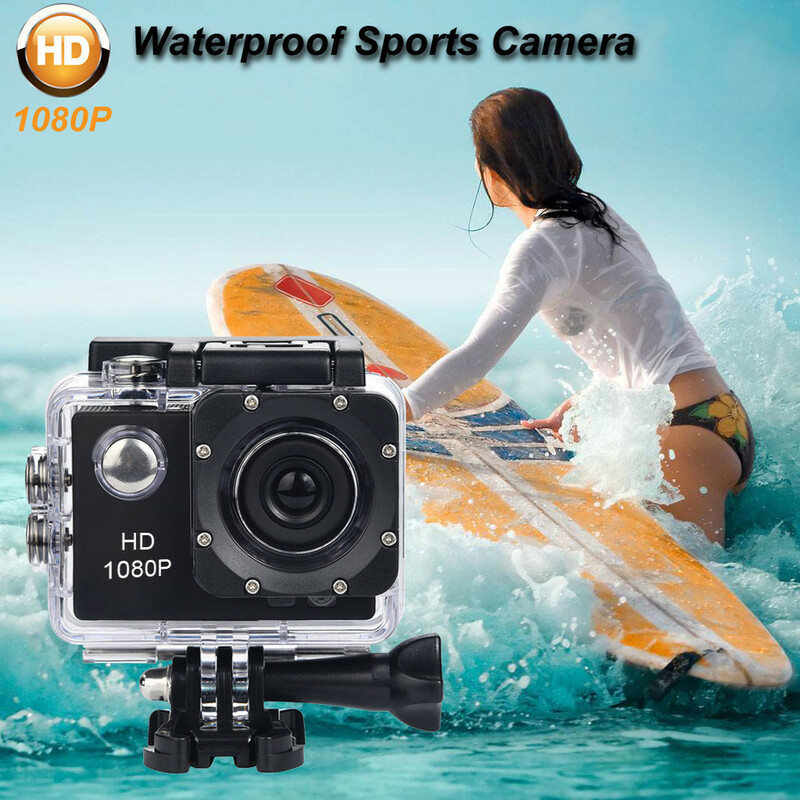 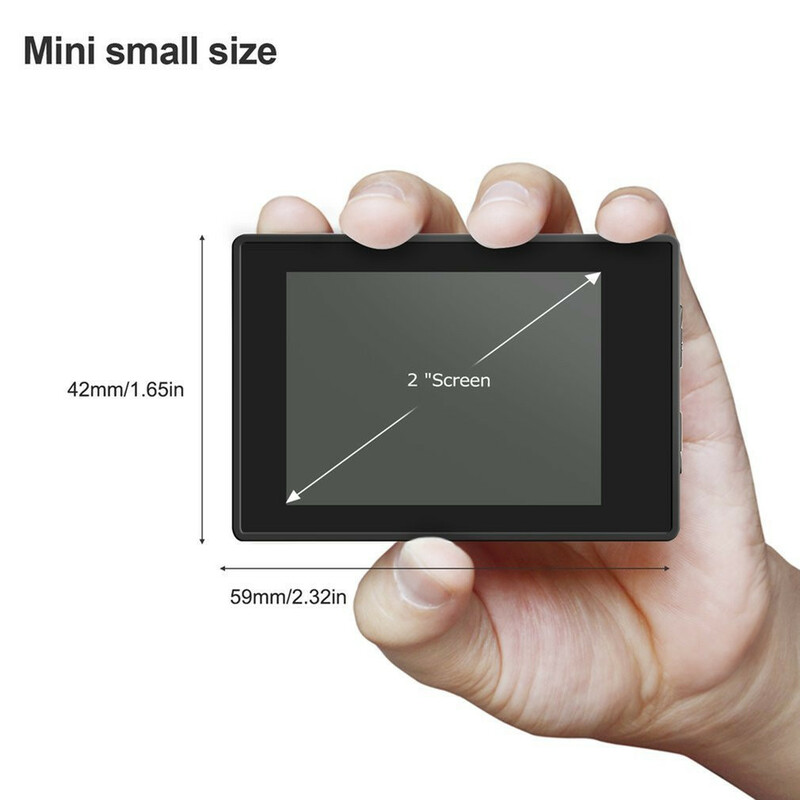 Upgraded 2-Inch High-definition LCD and Professional 4K 25fps & 2.7K 30fps video with 12MP photos at up to 30 frames per second which is 4 times the resolution of traditional HD cameras. 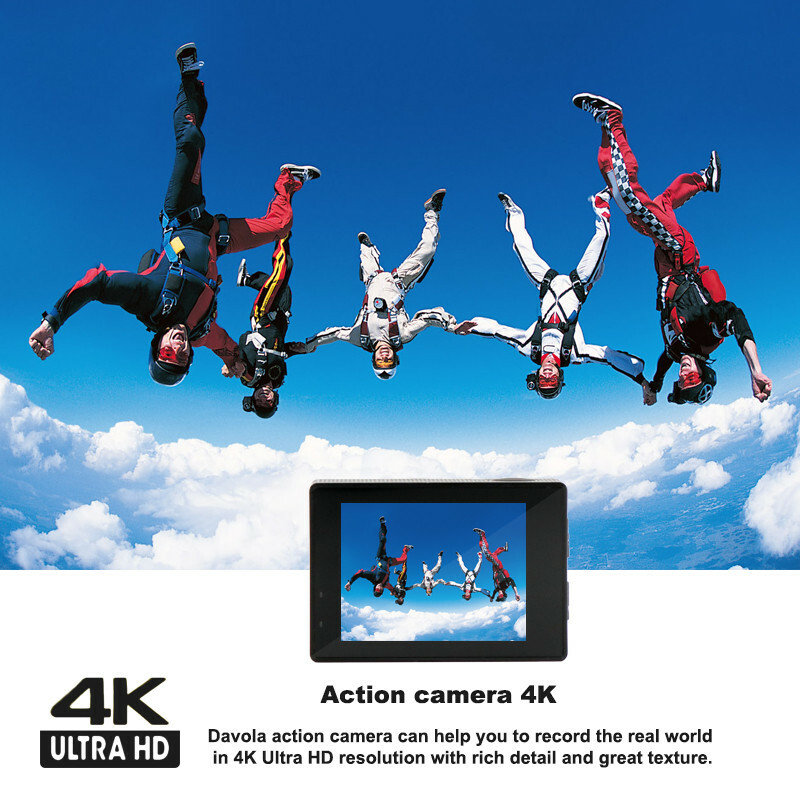 170 Degree Ultra-Wide Angel Lens makes you can easily capture HD pictures of all kinds of occasion. 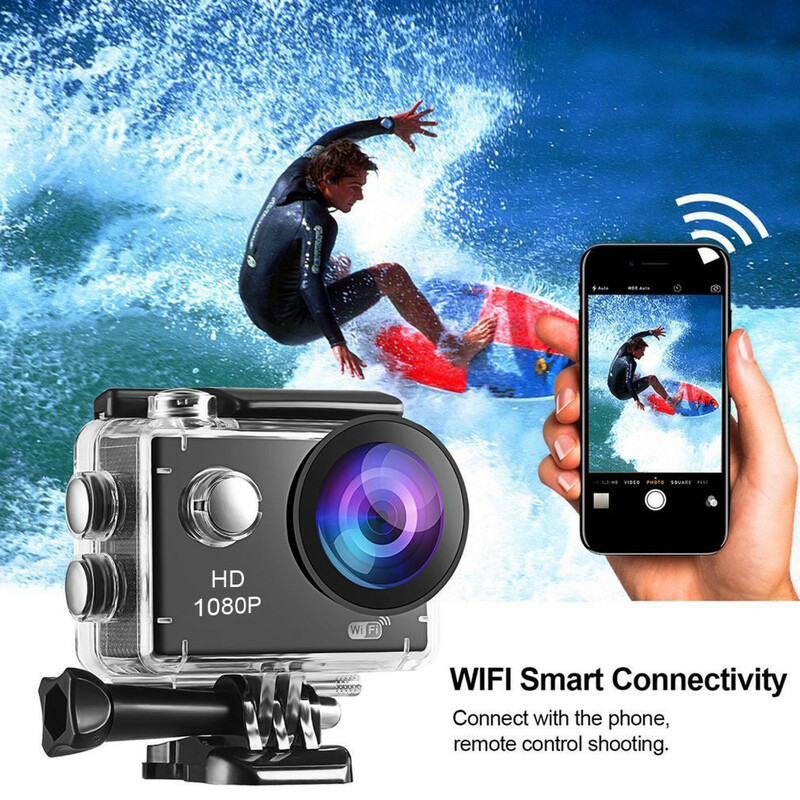 The built-in Wi-Fi can control cameras from distances of up to 50-feet (15-meters), Save & edit & share your action in minutes. 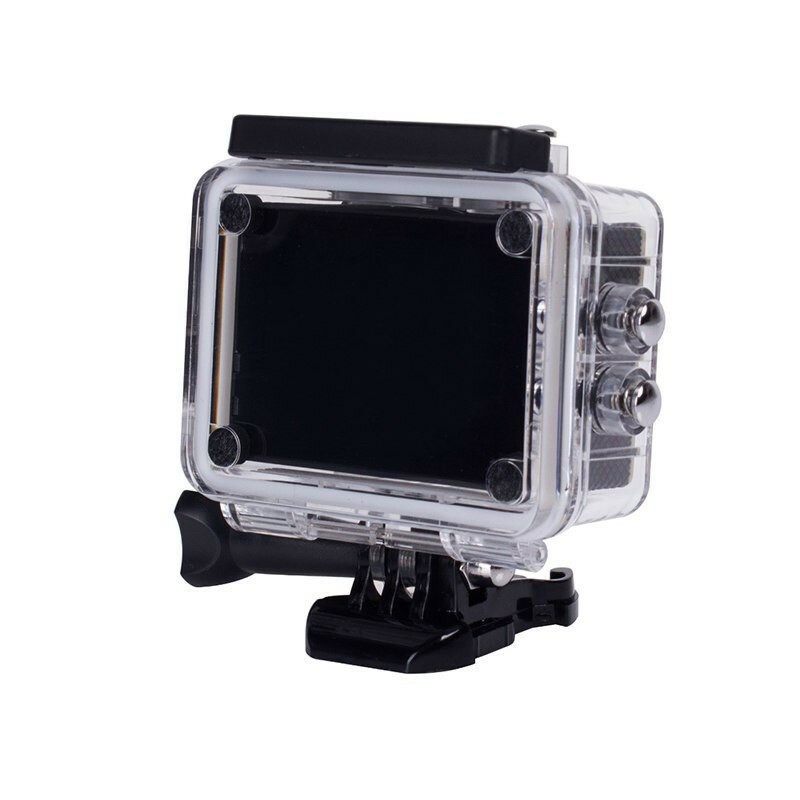 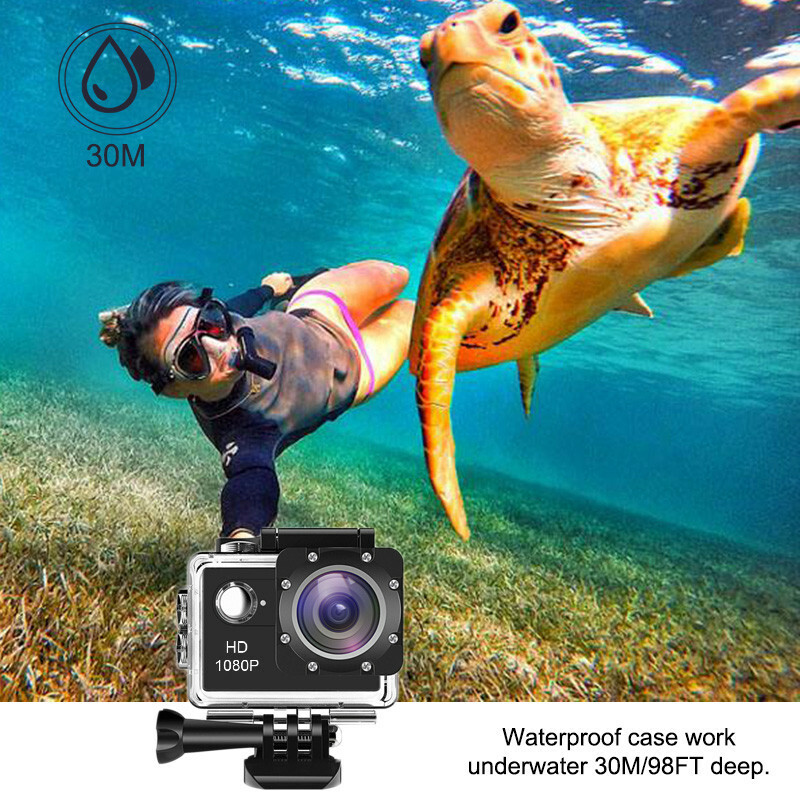 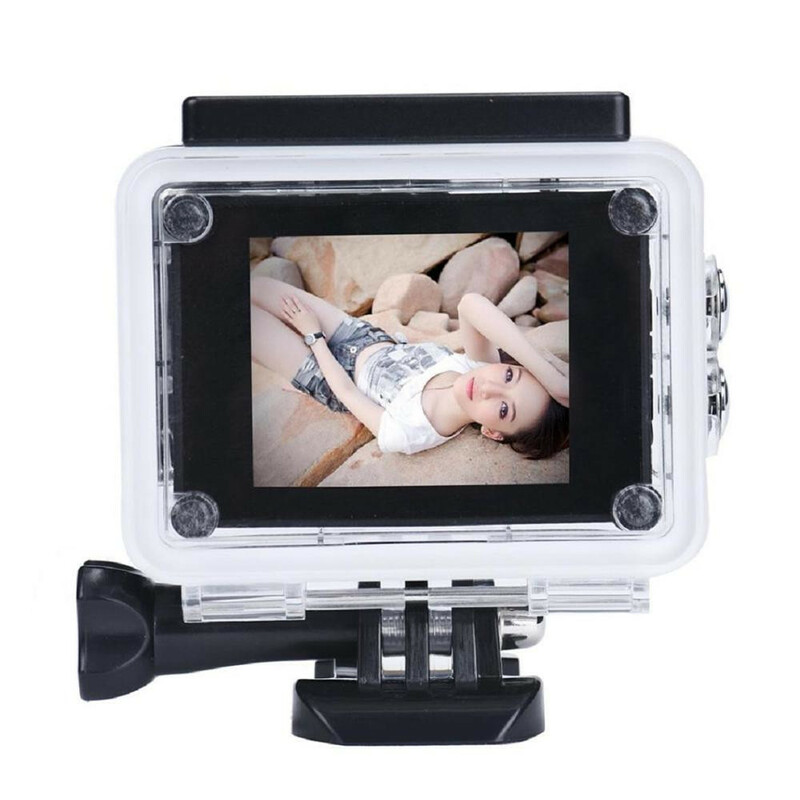 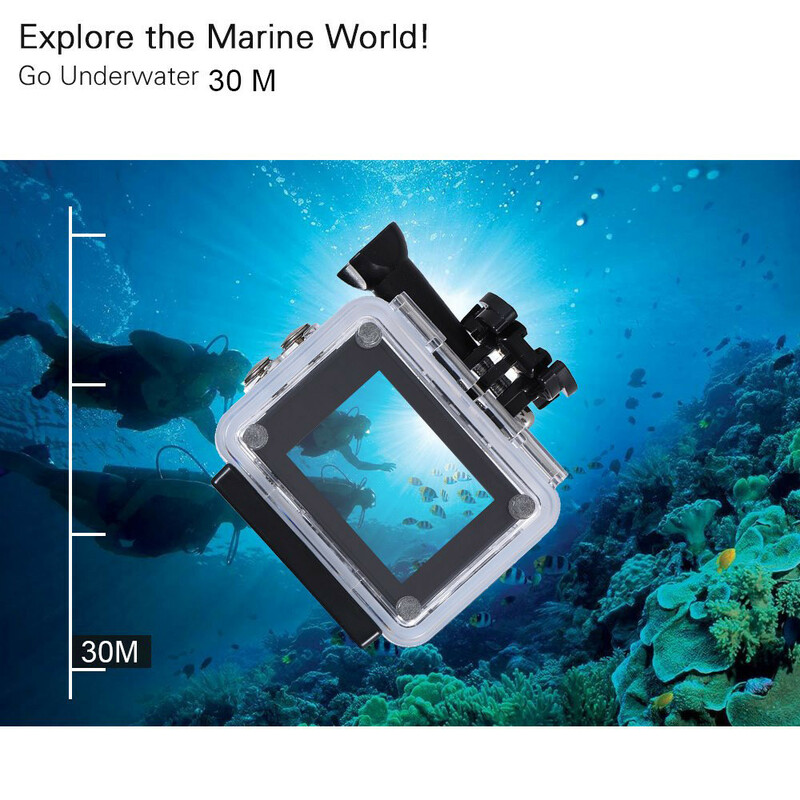 Equipped with IP68 durable waterproof case, so you can use it in water up to 100 Feet (30m).Ideal for water sports like swimming, drifting, surfing etc. 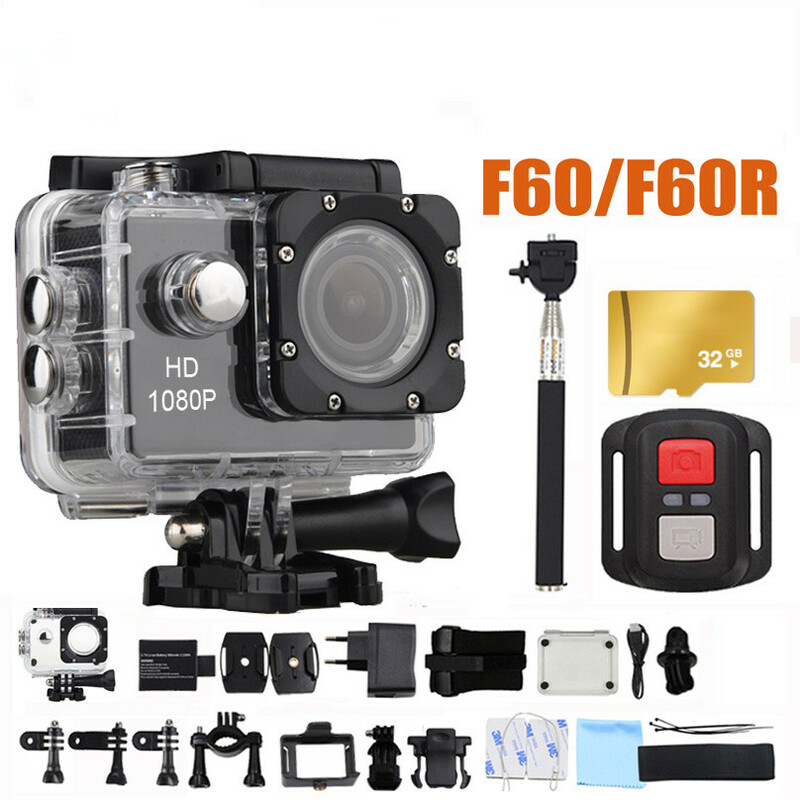 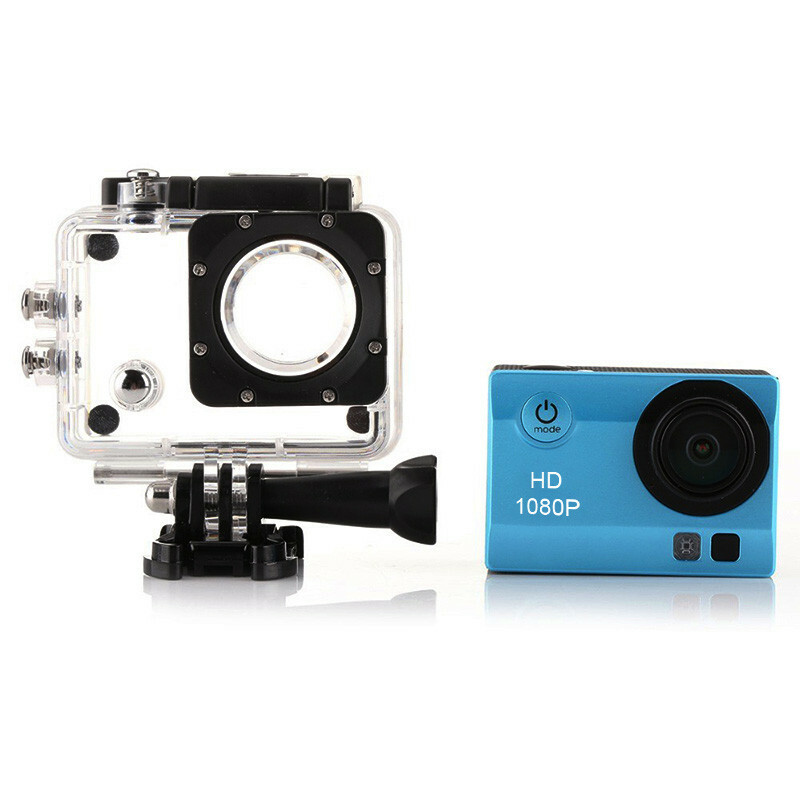 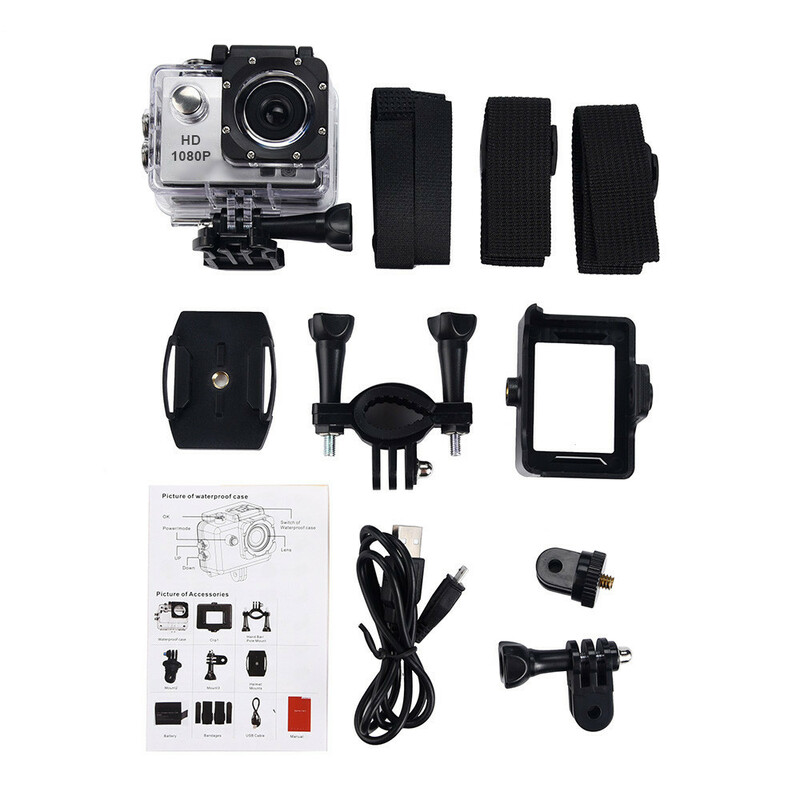 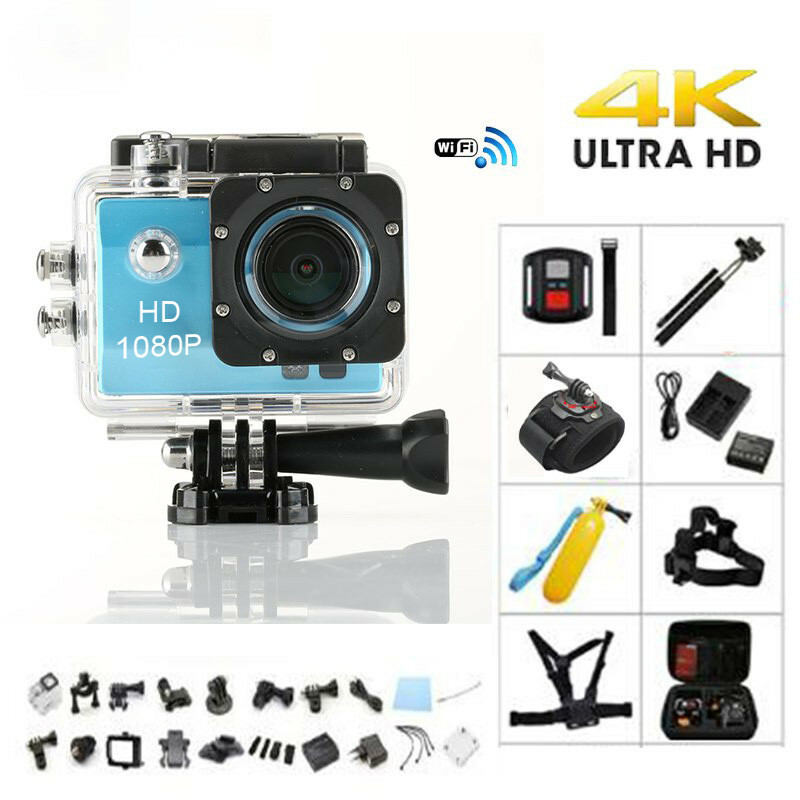 You can use these accessories to fix your action camera on bike & car & unmanned aerial vehicles, so it provides a convenient capture solution for amazing new perspectives you will never miss it again. 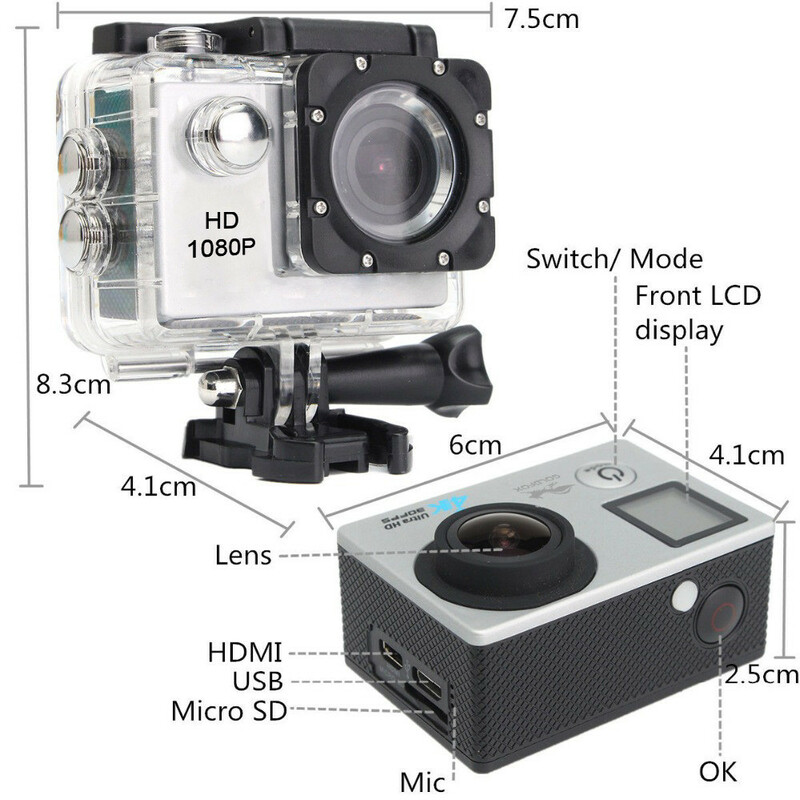 For best results use this camera at 1080 60 FPS as battery will last at least 25% more time than 4k.